2nd Semi Final Of Twenty20 World Cup 2014 (India vs South Africa): 2nd Semifinal of International Twenty Twenty World Cup 2014 is held between India and South Africa (IND vs SA) on 4th April 2014. This is a knock out match. India (IND) won the match by 6 wickets with 5 balls remaining and qualify for the finals of World T20. India will meet Sri Lanka (IND vs SL) in the finals of T20 world cup on 6th April 2014. South Africa vs India (SA vs IND): South Africa won the toss and choose to bat first and make 172 runs 4 wickets in 20 overs at 8.60 runs per over. To chase the target India got a fast start and easily chase the target and make 176 runs 4 wickets in 19.1 overs at 9.18 runs per over. Thus India won the 2nd semifinal of World T20 by 6 wickets with 5 balls remaining. 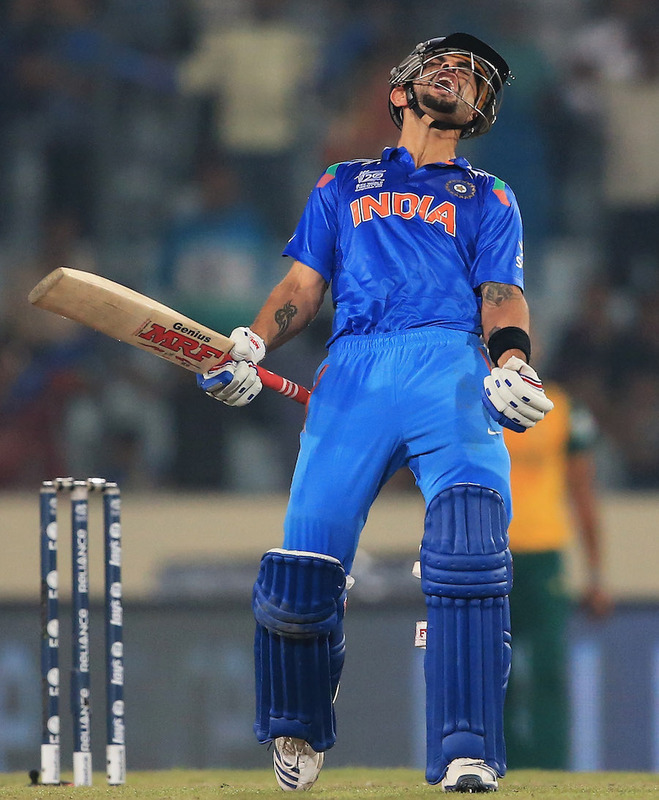 V Kohli (India) is declared as man of the match for his batting. he joined unbeaten 72* runs in just 44 balls at the strike rate of 163.33 with the help of 5 fours and 2 sixes. Result: India Won By 6 Wickets With 5 Balls Remaining.